Now, there are only a handful of survivors left behind and the hordes of zombies have invaded the streets of our cities, you are alone in the night ... Your mission, capture the first contaminated human being and bring it back so that a vaccine is developed. Now, the hopes of all mankind rest on you ... ¤ An action game in which your reflexes will be put to the test in tortuous urban levels. ¤ Regularly find the weapons and item dealer, and choose from 12 weapons like the double shotgun, the flamethrower or the famous gatling gun! ¤ A scenario and dialogues worthy of an old zombie film! ¤ A stuning gaming environment, entirely realized in 3D. ¤ Play for free and no additional purchases in the game! Version 1.1 released ! - Added a full tutorial to the introduction of the game - Adding animations to the menu - Minor graphic improvement of the interface - More gore! 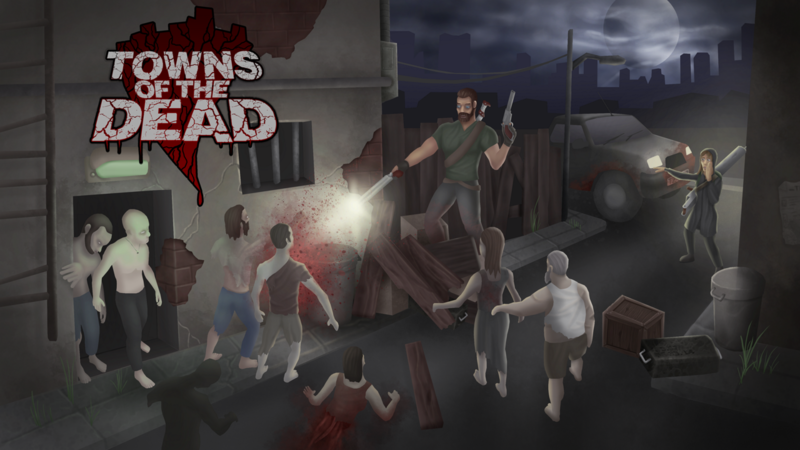 To promote Towns of the Dead and grow its popularity (top games), use the embed code provided on your homepage, blog, forums and elsewhere you desire. Or try our widget. Fan version of Silent Hill games . Immerse yourself in the world of Silent hill, fight monsters , to survive ..